Thanksgiving, Chinese, African-American, St. Patrick’s Day, Columbus Day, Puerto Rican Day and More!! NYC Parades are some of the most famous and popular in the world. There is the Macy’s Thanksgiving Day Parade and New York Halloween Parade, but don’t confuse our amazing Parades with our New York City Street Fairs and NYC Festivals. There’s more than enough fun and festivities to go around in New York City. Here’s a look at our top NYC Parades. January or February, depending on Chinese New Year. The New Year marks the beginning of the spring, the rebirth of the Earth and 2011 is the Year of the Rabbit (or Hare). 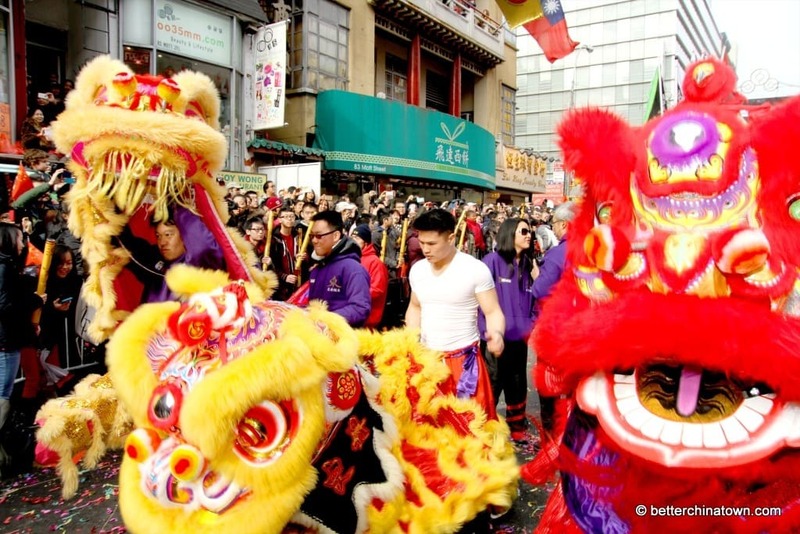 More about the Chinese New Year Annual Parade. 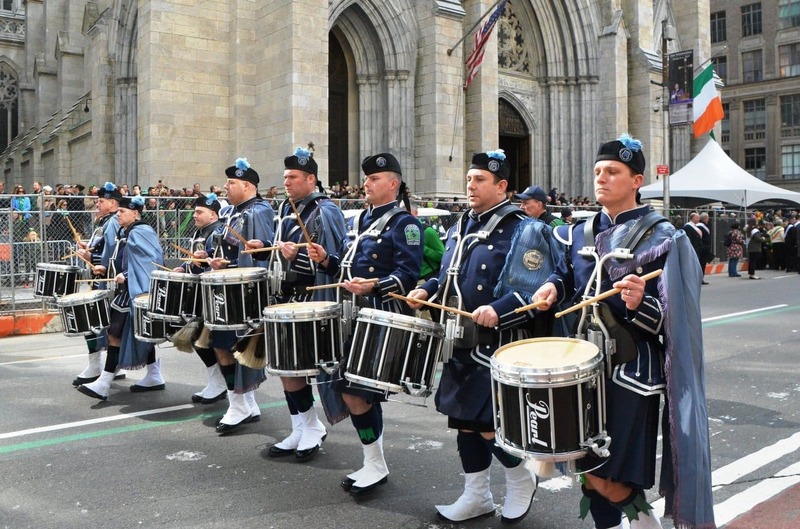 The St. Patrick’s Day Parade is one of New York City’s greatest traditions. In 2012, it will celebrate it’s 251st Anniversary. The parade hosts 150,000- 250,000 marchers, along with many great bands; bagpipes, high school bands and the ever-present politicians in front of the approx 2 million spectators lining Fifth Avenue. 11am – 5pm, starts at 46th St and 5th Ave, goes up 5th Ave past St. Patrick’s Cathedral at 50th Street, and continues up to the American Irish Historical Society, 83rd Street. The Parade is held every March 17th, except when March 17th falls on a Sunday, it is celebrated the day before, Saturday the 16th because of religious observances. This parade has been held for the past 248 years in honor of the Patron Saint of Ireland and the Archdiocese of New York. The Parade is reviewed from the steps of Saint Patrick’s Cathedral by His Eminence Cardinal Edward Eagan, Archbishop of New York. More on the St. Patrick’s Day Parade in NYC. 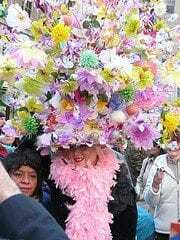 Every Easter Sunday, from 10am to 4pm, New Yorkers showcase the best of their bonnets and hats along Fifth Avenue. 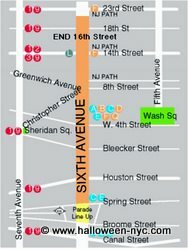 10am – 4pm, starts at 49th St and 5th Ave, and moves North along 5th Ave. The best place to watch is from the area around St. Patrick’s Cathedral, around 50th Street. Read more on the NYC Easter Day Parade. Generally held the second Sunday in June. The National Puerto Rican Day Parade is the successor to the New York Puerto Rican Day Parade, an event that operated for thirty-eight (38) consecutive years, enhancing the pride of the Puerto Rican people and promoting their contributions to the United States. Details on the Puerto Rican Day Parade. Gay Pride Week is a week-long celebration of PRIDE, in NYC and beyond. 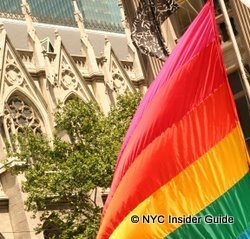 Filled with a series of fabulous and fun events, the festivities culminate with the NYC Gay Pride Parade, typically held on the last day of the week in late June. Also held on the last day are the Gay Pride Festival, along with the annual Dance on the Pier following the parade wrapping up Gay Pride Week in a grand fireworks display. The parade celebrates the spirit of exploration and courage that inspired Christopher Columbus’s 1492 expedition and the important contributions Italian-Americans have made to the United States. More on the Columbus Day Parade. The Macy’s Thanksgiving Parade takes places on the 4th Thursday of November. Floats, Clowns, Balloons, Celebrities, Santa Claus and so much more. If you are lucky enough to be here, then here are some tips on the best ways to watch the Thanksgiving Parade, which attractions are open and where to have Thanksgiving Dinner. In MOST cases, a New York City Attractions Pass can offer a savings. See my review of the three main New York City Pass Discounts, New York Pass, New York City Explorer Pass and New York CityPass. Find the best things to do in NYC, get the steepest discounts, free calendars and tools, learn all our New York Tourism discount secrets and get the hottest tickets in NYC. Top picks for FREE New York Tours! Guided tours to Central Park, top Movie and TV filmed spots, Greenwich Village, East Village, Wall Street, Ground Zero and more. Get a free tour to anywhere in NYC! See what secrets other NYC Insider Guide visitors have shared in their NYC Vacation Itineraries. Check out Walt’s NYC Architecture Tour, Jean’s Art Lover’s Tour, Lauren’s wonderfully inspiring story about Very Special Travel and Kim’s NYC Vacation for young girls. Tired of printing your own custom guide book from the dozens of internet sites about NYC? Get first hand, practical New York City information you can download and print with one click immediately. Cool New York photos that are somewhat secret. Actually, some of these New York City locations are so hidden, even I’m not sure where they are! Find out which celebrities and icons are starring on Broadway now. In 2010, the great White Way will star Al Pacino, James Earl Jones, Denzel Washington, Catherine Zeta-Jones and so many more! See all the Broadways Shows in New York playing now, which celebrities are starring and the best ways to get Broadway tickets. Our maps shows you the heart and soul of New York City…the places where New Yorkers live, eat, work and breathe, and the reason we all love living in New York City. Find the best restaurants, things to do, sights to see and shopping for every Manhattan neighborhood. Upper West Side, Midtown West, Times Square, Koreatown, Hell’s Kitchen, Garment District, Chelsea, Meatpacking District, West Village, SoHo, Tribeca, Battery Park City, Financial District, Lower East Side, East Village, Greenwich Village, NoHo, Union Square, Flatiron District, Midtown East and Upper East Side.